VW camper vans are popular with vintage fans and surfers alike, but consider other retro options too. You might also have a familiy member willing to drive you to and/or from the ceremony in their vintage vehicle. It might be a bit big for just you and your dad (but not unheard of) but think about hiring a double decker bus as your wedding transport. It’s also the perfect way of taking your guests to and from the reception venue, especially if there’s little parking available there. A superstar-style touch-down by helicopter whether at your reception or church will really create a buzz among your wedding guests. The downside? You won’t be able to blame the traffic for a late arrival! Want to feel like a celebrity, or have you simply got a huge dress and posse of bridesmaids to accommodate? Then a limousine is for you. A classic Lincoln or Chrysler stretch version is the most classy choice. 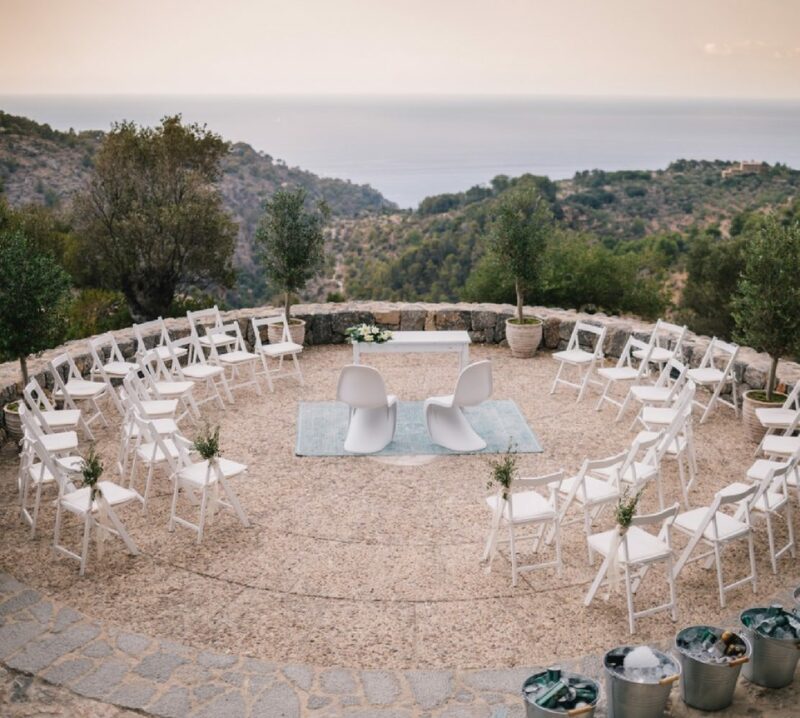 Create a unique moment for your wedding in Mallorca, and make sure that it is long remembered! Please contact us to discuss your needs. Our wedding planner will help you every step of the way to create the perfect event. Hi I am getting married this August. I want to enquire about hiring a wedding Car or possibly horse and cart?